This is a true genre blend, as much romance as it is mystery. The multiple layers of the plot—ghost story, new love, old loves, a new murder, and a cold case—are woven into a web that keeps tugging on the reader’s curiosity. I found the primary setting in the small town of Rio Rojo in northern New Mexico authentic, with its mix of Anglo and Hispanic residents and its close village life that is touched but not changed by nearby Taos. In this town with few newcomers and many generations of history, everyone has some kind of connection and many know fragments of each other’s secrets. Los Angeles-based television reporter Cere Medina and Rafe Tafoya, the sheriff who is her mother’s neighbor in Rio Rojo, come into conflict over her investigation of a cold case on his turf—conflict complicated by attraction. These are people who challenge as well as charm each other. Their exploration of the case integrates all the threads of the story and forces both Rafe and Cere to reexamine some of their choices. Both the major and minor characters have good reasons to care about the mysteries—those keeping the secrets and those trying to uncover them. The large cast of secondary characters is handled well, giving the town its personality and giving meaning to the friendships and family ties that affect the murder plots. Both the murder victims are complex people who remain fascinating long after death. Even the businesses in Rio Rojo have personalities, especially the Matador, the casual, home-style restaurant where locals hang out. I could see it, hear it, and smell it. A nice New Mexico touch is the way Cere’s connection with the ghost of Marco Gonzales is handled. A few people are skeptical, and others accept it readily. Her experience is subtle as well as powerful, not overblown. It’s treated fittingly for the Land of Enchantment. Spirits happen. 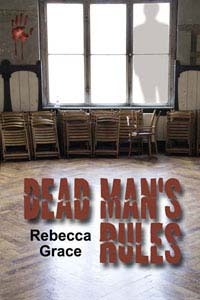 Dead Man’s Rules is part one of a three-part story. Author Rebecca Grace handled closure on part one well. The major plot lines all get wrapped up. Subplots revolving around some intriguing secondary characters are left open. These are strong and interesting enough to make the sequel appealing, but not central enough to leave gaping holes to frustrate the reader at the end of part one. I understand that Grace teaches some writing skills classes. The way she finessed this difficult balancing act inclines me think she’d be a good teacher. In Charles Hudson’s Conversations with the High Priest of Coosa, a fictionalized ethnography of the early Native people of the American South, the priest explains the four souls to the Spanish narrator. The Coosa, the ancestors of the Creeks, Seminoles and other Southeast tribes, believed that a human had four souls. The life soul, residing in the crown of the head, was the first to depart the body after death, and also the one that could linger as a ghost; the liver soul, which lingered for seven days after death and then dissipated; the heart soul, which lingered for a month and then went into the earth; and the bone soul, which stayed for year, and still connected with the feelings of loved ones. It wasn’t a ghost, but an awareness that could recognize when the living honored its memory. The people who had this belief were my ancestors on my mother’s side. In modern world, I think we have a fifth soul. The word soul. It lives on even longer than the bone soul. It resides in papers, letters and books. A few years after my father’s passing, my sister and I finally sorted through a huge box of family pictures and papers he’d left us so we could donate them to the state archives. They dated from the civil war through to the twentieth century. The letters written in World War II were touching and charming, and the vacation pictures from the nineteen-twenties, in those modest swimming costumes, delightful. Among those papers were two short stories I’d written. I’d forgotten about them. One had been published in a teen magazine when I was twelve. The other was one I’d written when I was in high school. By writing books and short stories, blogging and reviewing, I’m honoring the word souls of other ancestors as well. My mother was an English professor. She taught mostly freshman English—my sympathies are strong now that I teach freshman health and intro-to-college seminars—but her pet project was a course on the development of mystery novel. She loved Sherlock Holmes, and Dorothy Sayers’ Lord Wimsey novels. I grew up surrounded by mystery books. When we were too young to read them, my sister I used to pull them off the shelves and look at the scary covers. If I’d kept any of those old paperbacks, I think I’d meet my mother’s word soul in them. Her father was also an English professor, and a poet. Through some bizarre coincidence, the college where I now teach has his papers. His word soul is in its museum, though he was a professor at another college altogether. I wonder if, like the bone soul, it knows when it’s being honored, and feels the nearness of a descendent. The only stories we normally tell in present tense are jokes. It’s hard to stay in the present, either in telling a story or in daily life. I’ve been thinking about this because of two books I just read. One is Jack Kornfield’s The Wise Heart, a Buddhist approach to psychology. The other is a short literary novel, Escaping Barcelona, which is written in the present tense. The pairing got me thinking about awareness of the present moment, narrative in the present tense, the nature of what’s in our minds, and whether or not the stuff which fills our heads makes for good fiction. My freshman seminar students read The Wise Heart with me. One said the most valuable section of the book for him was the one on Delusion, especially the topic of inattention. In his words, “I know there are plenty of moments where I walk around lost in thought, not focusing on my surroundings, to the point that I’m basically sleepwalking.” Mind full, but not mindful. In class, we did a thought-counting exercise from The Wise Heart. As we noticed our thoughts and began to find space between them, the messy and nonlinear nature of thinking showed up. Thought is seldom focused in the ongoing flow of experience. If consciousness is a stream, the water is full of floating debris: the repetitive cycle of “top ten thoughts” and stuck songs, digressions into past and future, sudden awareness of bodily processes, or commenting and judging and craving, interspersed with moments of clarity and attention. In a May 2013 article in the New Yorker, Giles Harvey examined stream of conscious in literature from its early roots to the present. (I encourage anyone interested in the topic to read the whole article at http://www.newyorker.com/books/page-turner/minds-are-the-strangest-thing.) Here are few of his observations I found relevant to my recent readings. How much thought can a novel contain before bloating, or bursting, occurs? Minds are weird, without a doubt. But not everything that goes on in them is worth our attention. Author Henry Martin has described Escaping Barcelona as being written in first person, present tense, stream of consciousness. It is intimate and internal, but no more so than any literary novel written in the past tense. Most of the book doesn’t resemble the actual stream of consciousness. Martin usually shows inner processes fluidly embedded in a compelling story. Once in a while he stalls for a long rant or ramble from the nineteen-year-old narrator, Rudy—and like most mental chatter, Rudy’s inner material, while authentic, isn’t profound. Overall, however, Martin avoids tedium, and his book is neither boring nor formless. To achieve this, he has to compromise the flow of the present tense, which at times compromises the flow of the story. For around two thirds of the book—not a continuous two thirds—the present tense is inconspicuous as events take place in dramatic sequences with the protagonist’s thoughts and feelings smoothly integrated into them and the clutter filtered out. Rudy encounters situations that provoke intense awareness—new places and people, relief after deprivation, and danger. Such moments could be told effectively in the present tense in poetry or a short story. In a novel, though, the story takes place over time, and the author has to skip over the dull parts and cover the gaps with summaries as he would in the past tense. Because of the present tense wording, I found myself jerked out of the plot by the awkwardness these transitions and summaries. Some of these shifts implied the perspective that what was being narrated in the present tense took place in the past. I want to be fully absorbed when I read, and this distanced me from the story. In one of the last chapters of The Wise Heart Kornfield gives detailed descriptions of the inner experience of deep concentrated attention, a state of consciousness few of us will ever reach. “With concentration, no matter where we place our attention, it will stay focused.” He explores how this translates into concentration on bodily sensation, on a wide-angle perspective on our whole experience, or on a feeling like loving-kindness. After years of study, a practiced meditator might be able to stay in a state like this for an hour or two. Such a person’s stream of consciousness could stay in the present moment, and with that expanded wide-angle attention, could make a readable, continuous story. Except, a person with that level of wisdom wouldn’t make a good fictional protagonist. He or she wouldn’t make impulsive decisions such as Rudy makes that get the events in Escaping Barcelona started. On p. 247 in The Wise Heart. Kornfield quotes a Jungian teacher and analyst. “There is in life a vulnerability so extreme, a suffering so unspeakable, that it goes beyond words. In the face of such suffering all we can do is stand in witness, so no one needs to bear it alone.” Escaping Barcelona portrays one young man’s suffering and vulnerability, and asks the reader to stand witness. I cared about Rudy. He goes through hell without losing his humanity, struggling to maintain what he can of his integrity in a situation that challenges him just to survive. When he gets his big “aha” about himself, it’s a lesson worth learning, though it’s one the reader can see coming long before it hits him. I suspect most of our life lessons are like this. Other people can perceive that we need them, but we can’t until we suffer. The value of a story like this is the engagement of compassion. Escaping Barcelona has many strengths, but sometimes I found myself watching the author write instead of living the protagonist’s struggles. I reached the end impressed by Rudy’s resilience and wishing him well in the next stage of his journey, but I won’t be reading the sequels unless there should be special past tense editions. I’ll read The Wise Heart again. It has made me stop more often to examine my inner noise and find the stillness beneath it, conscious in the present moment. Patricia Smith Wood’s father, first as a police officer, and later as a career FBI agent, sparked her own interest in law, solving crime, and mystery. After retiring from a varied and successful business career (including eighteen months working at the FBI, being a security officer at a savings & loan, and owning her own computer business) she attended writing seminars, conferences, and in 2009 graduated from the FBI Citizens’ Academy. 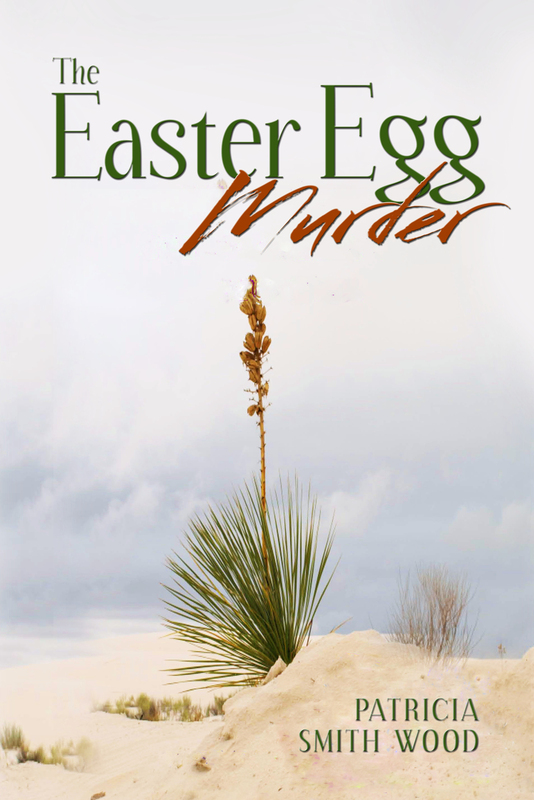 Aakenbaaken & Kent published her first mystery, The Easter Egg Murder, on February 14, 2013. Murder on Sagebrush Lane, the second in the series, is finished and awaiting publication. Last week I reviewed her book and this week she’s here to talk with me about it. PSW: It really wasn’t a problem for me. I’m a “pantster” and I didn’t map it out. The story simply developed as I wrote. Sometimes I’d start a chapter with a vague idea of it going one way, but it ended up completely different. I would finish and think, “Well, now what?” Then the next idea would just be there, and I’d go with it. I routinely found myself surprised at the twists that came out. AF: Was there a historical event similar to the murder of Chipper Finn that inspired this book? Are any of the characters from that 1950 part of the plot based, even loosely, on actual people in New Mexico history? PSW: Definitely! The actual murder of Cricket Coogler happened in Las Cruces, NM in 1949. But her body wasn’t discovered in the desert until sixteen days after she disappeared. Four young men (17-18) found her partially buried body in the desert on the Saturday before Easter when they went rabbit hunting. I used the basics, but changed the details to suit my version. Many of the actual people make an appearance (usually in disguise) in my version. And of course, Cricket’s murder was never solved. AF: 21st century Albuquerque is the main setting in your book, and easily recognizable. Tell me about Los Huevos. I looked it up and found a rock-climbing site of some apparent difficulty, but no town. Is it based on a real place? Do you have any connection with a little town like that? PSW: Los Huevos is a completely made up town, located conveniently at the foot of Los Huevos Peak (also fictional). Since the body in my story is discovered on Easter Sunday morning at the foot of Los Huevos Peak, that would be a natural reason to call it The Easter Egg Murder. I had been told I should have a title that stood out, and that seemed to me to fit the bill. I have no connection with such a town, but I suppose the small town of Los Lunas (which is actually southwest of Albuquerque about 20 miles) might have given me the idea. AF: The story of the murder in 1950 and all the events around it, all the characters involved, could have been a book by itself. Did you ever consider writing it that way? How did you decide to make it a story within the story? PSW: The story of the actual murder (in 1949) has already been written. In fact, I read everything I could get my hands on about Cricket Coogler’s murder. An excellent book by Paula Moore, titled Cricket in The Web, came out in 2008, right about the time I finished my first draft. I wanted to use some actual things, but ended up fictionalizing most of it. No one in New Mexico who knows about this murder wants to say, on the record, who they think was responsible. It was much more fun (and safer) to make it up. AF: Harrie has precognitive dreams which add a sense of foreboding to the early part of the story. Was there any additional reason behind your decision to integrate this into the plot? I have this kind of dream myself so I liked that you treat it as only a little unusual. Also, it seemed true to “the woo” of New Mexico to have it in there but not make big deal of it. PSW: I know several people who have some form of precognition, or “knowing”, about events. It’s always fascinated me and seemed like an interesting story-telling tool to use in fiction. I hoped to convey the mystical atmosphere that weaves it way through New Mexico’s history and culture, from the Anasazi and Chaco Canyon ruins to present day native practices. AF: Tell me about your research. The illegal gambling and the political corruption in New Mexico back in the fifties were things I really hadn’t heard that much about, and I found them fascinating. PSW: My father was an FBI agent who was transferred to the Albuquerque Office in 1951, two years after the murder. Events were still transpiring when he arrived here, and he later told me what he knew about the case. I also interviewed many people who lived through that era in New Mexico politics during the period 1949-1950. That included former FBI agents, former residents of Las Cruces, a couple of newspaper men who were around at the time, and even the former governor of New Mexico, who was elected mostly because of the Cricket Coogler murder. I also read books, and watched a film made on the subject: The Silence of Cricket Coogler. The book Cricket in The Web goes into the gambling issue in great detail, but I had also heard a lot about that from the people I interviewed. AF: I know you have a good background in law enforcement, but you chose to give major roles in solving the mysteries to the two amateur sleuths, though you do include police and FBI. I’d love to know how you made that choice, and how you came around to casting two editors in the role of sleuths. PSW: I have been a fan of the “cozy” mystery genre since I was a teenager. The cozy requires the sleuth (or sleuths) to be amateur, so it was always my intention to follow that basic rule. My favorite series at that age was the Judy Bolton mystery series by Margaret Sutton. In the early books, she was a teenager like me, and her boyfriend, Peter, helped her solve the mysteries. When they grew up, Peter became an FBI agent. Since my dad was an FBI agent, I thought that was a cool thing to do. Toward the end of the series, Judy and Peter eventually married, and she still managed to help him solve crimes. As for making my sleuths editors, it seemed the best way to get them involved in a half-century old murder. By editing Senator Lawrence’s book about the murder, it gave them an excuse to become embroiled in digging out the answers. I didn’t stop to think how that might play out over a series, but in the beginning, I didn’t know it would be a series! AF: Just for fun, I have to include this “outtake.” I made the mistake of asking Pat a question about some other books, and here’s the answer. 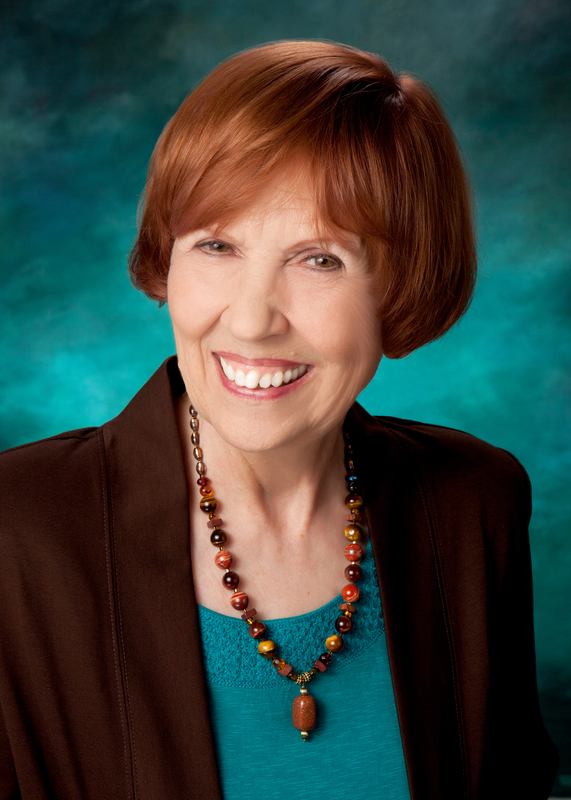 PSW: If you “Googled” my name, you might have run across a different Patricia Wood (which is why I insert my maiden name into the mix: Patricia Smith Wood) who has written at least one book (The Lottery) and perhaps more by now. She lives on a boat in Hawaii (which I obviously don’t). But that didn’t stop a local magazine from running a small piece about The Easter Egg Murder in which they stated that the author, Patricia Wood, lives on a boat in Hawaii! It turns out Patricia Wood is a pretty common name. One day in 2012 I received a phone call from a local television station asking if I was Patricia Wood. I agreed that was me, and they then asked if I was the Patricia Wood who had stolen jewels from luggage at American Airlines and was I headed for federal prison in two weeks. Once I recovered my senses I assured them I was not that particular Patricia Wood, they thanked me and hung up. AF: Tell me about your newest project. PSW: My newly finished second book in the series is Murder on Sagebrush Lane. In the first chapter, Harrie McKinsey goes out to retrieve her newspaper at 5 a.m. on a summer morning and finds a small girl playing in her flower beds. She notices a dark stain on the child’s pajamas and teddy bear, and when she realizes it’s blood, her journey to find the child’s parents gets her involved in another murder. Of course, Harrie’s life is never that simple, and before it’s over there’s another murder, a race to uncover a plot to steal top secret data, an attempted kidnapping, and a desperate killer who intends to make Harrie his final victim. AF: It sounds exciting. I’m glad to know there will be more of Harrie in the future. Let me know when the book comes out. Thanks so much for being my guest.